In November 2015, my brother Jordan and I set off on a two week trip to climb the third highest peak in North America, Mexico's 5,636-meter / 18,491-foot Pico de Orizaba. Fortunate timing allowed us to also complete an ascent of Mexico's third highest peak, Iztaccihuatl (5,230 m / 17,159 feet). The expedition was self-supported. The following photo essay explores the journey through prose and picture, luring the reader into a tangible world of clammy Mexican metros, organ-shifting truck rides and lonely twilight glacier traverses. With our hunger for volcanos temporarily satisfied, focus turns to indulging in the delicacies offered up by Mexico City. Wake up call in the Churrería El Moro. 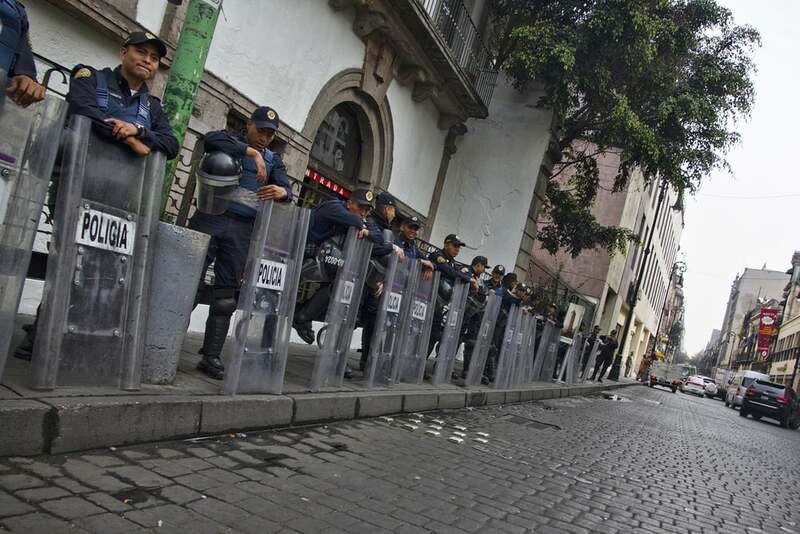 Daily gatherings of protestors demanding government action on the disappearance of 43 students on September 26, 2014 force city police to stay on alert in the Distrito Federal. Snaking through back alleys and tented markets, our noses and intuitions are reliable tools for finding cheap local eateries. A proven sign of a good lunch spot is to observe the locals. A gathering of businessmen and women looking longingly at a rotating heap of meat is likely not a quarterly financial meeting. Tacos al pastor it is. 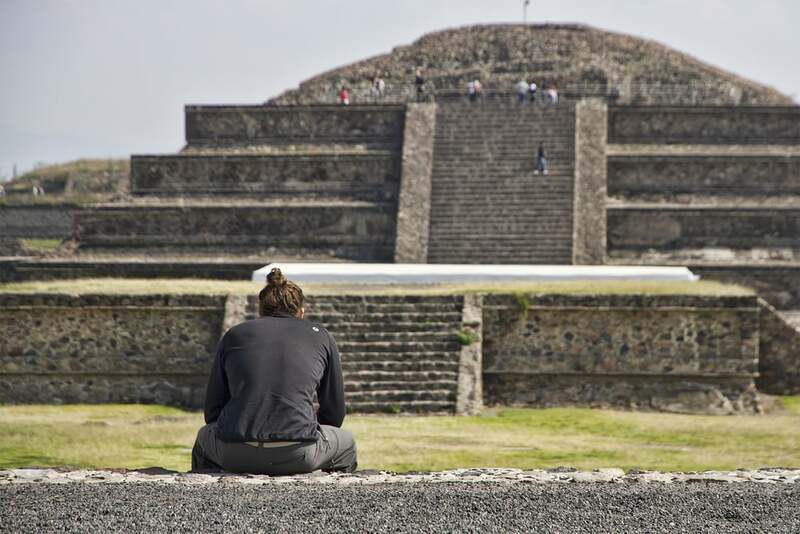 The two volcanos under our belts give us the confidence to tackle a few more high points in Teotihuacán. Shadows grow long and streak away from the Mesoamerican pyramids.